Loaver shares a dreamy dark pop song that is beautifully atmospheric and irresistible. 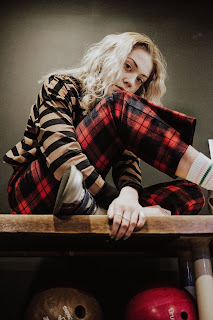 Lauren Hibberd makes her fifth appearance on Beehive Candy as the Isle Of Wight artist once again impresses us with a fabulous alt rocker. With the first posthumous album for JJ Cale due in April we have the first track and a really fine video accompaniment for one of musics true legends. 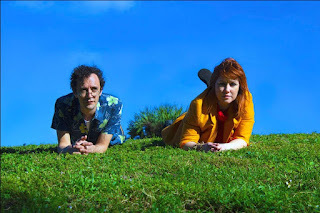 Cafe Spice treat us to a mixture of gorgeous vocals & harmonies above a simple and beautifully matched musical backdrop. Loaver - Out Of Town. Malmö, Sweden, based singer-songwriter Linnea Hall started her solo project Loaver with a desire to be able to showcase all sides of her experiences and inspirations. 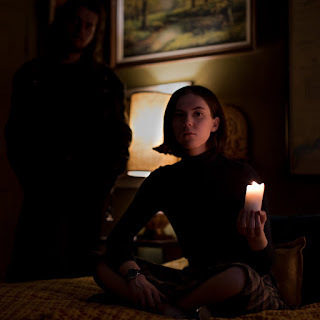 The music that will be released as Loaver’s debut EP - experimental, smooth and dark pop at its finest - was written and recorded in Italy during 2017, in close collaboration with artists such as Giovanni Ferrario (PJ Harvey, John Parish etc. ), who produced the tracks, and Emanuele Maniscalco. Through the six tracks we’re drawn between the uttermost boundaries of emotions - love, hate, dreams, doubt, chaos and naivety. 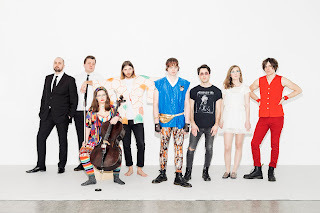 Apart from Loaver Linnea is also active in Malmö based band Kluster, a band that released their debut album, ”Civic”, on Rama Lama Records in June 2018. Last month Loaver released the single "Therapy" - a track that got critical acclaim from Swedish and international media. "Out Of Town", a dreamy, slow building track, is out on all streaming services. 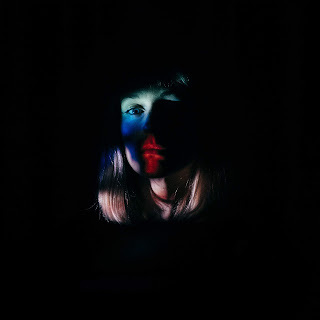 Kicking off 2019 with pulsating new anthem Sugardaddy, Isle Of Wight newcomer Lauran Hibberd sparkles in her latest release, moving further towards the forefront of the UK’s emerging indie landscape with aplomb. Generating widespread acclaim throughout the online community (The Line Of Best Fit, The 405, Clash) in 2018 with her first few releases, in addition to extensive support at BBC Radio 1 (BBC Introducing Track of the Week), the rising talent’s expertly crafted blend of indie pop has already earned plenty of fanfare with her reputation certain to grow further over the next twelve months. 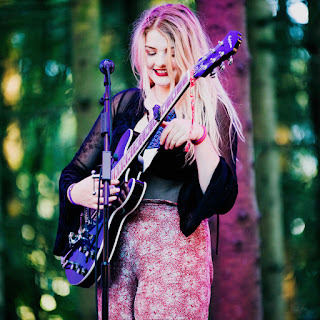 Recently named as one of Huw Stephens’ Top Tips for 2019 and confirmed to support US indie rockers Hippo Campus on a full UK/European tour this spring, plans are certainly shaping up nicely for the young musician whose off-kilter style has already earned comparisons to Courtney Barnett and Weezer, as well as lyricism reminiscent of acts such as Phoebe Bridgers and Soccer Mommy. Detailing her upcoming release, Hibberd stated: “There’s a million love songs, but my dream is to live in a world where there’s a million songs about stuff like wanting a sugar daddy. I guess it’s a joke, it’s like wrapping bubblegum around depression. The idea stemmed from life being life, I have sort of a twisted humour so at some point my brain came to this as a comical solution. I wrote this track with Boe Weaver, my trusted day one producers. Don’t be alarmed”. JJ Cale - Chasing You. Because Music will release 'Stay Around', the first posthumous album by beloved songwriter, guitarist, and singer JJ Cale, on 26th April. 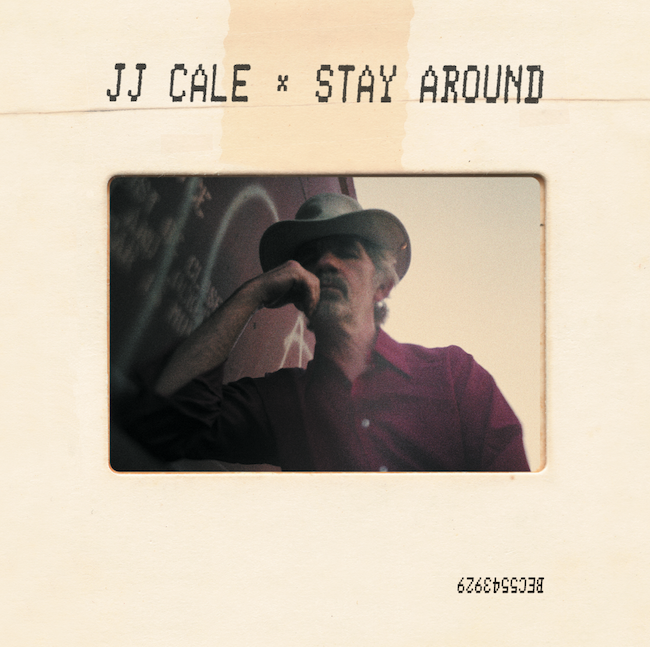 'Stay Around' is compiled by those closest to Cale, his widow and musician Christine Lakeland Cale and friend and longtime manager, Mike Kappus. 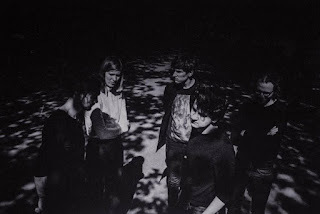 Because Music today released the official video for the album’s debut single, 'Chasing You', featuring footage of Cale touring (which he seldom did) and performing across the U.S. The video is a breezily bittersweet glimpse at the life of the artist who died in 2013 and left behind a vital, resounding legacy. 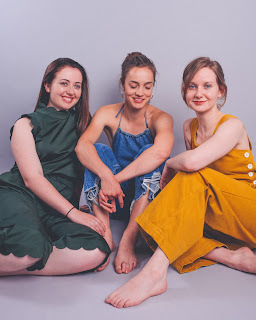 Bn2 (short for ‘Ballad number 2’) is the stunning second single to be released from new Manchester trio Cafè Spice. Taking the gorgeous Autumnal harmonies found on their debut single Lauren to a whole new level, the group’s soaring vocals on new track Bn2 are nothing short of exquisite. Testament to their collective vocal prowess, the startling harmonies contain both a power and a velvety ethereal grace and are layered atop a gorgeous melody, acoustic guitar plucked and gently stirring. The sound is effortlessly sublime indie-folk that brings to mind contemporaries such as The Staves or HAIM. Equally as emotive as the melody and vocals is the song’s heart-warming message of hope and comfort to a lovesick friend. As Cafè Spice explain: “(Bn2) was written for a friend struggling with unrequited love: a song of sleepless nights and swirling thoughts… ‘You’re half asleep but in your mind your fingers tie and unfold’”. Cafè Spice are Georgia Gage, Eleanor Lang and Niamh Feeney. After spending time performing live around their hometown Manchester, the trio visited British Grove Studios, London to turn several live favourites into future singles with more to be released throughout 2019.